Armored Electric Heaters are used for wide application in the modern industrial world. Redic’s Armored Electric products are most preferred for the high quality and better heat transfer process are analyzed in braking resistor. The standard laminar model and constant heat method for more employed to customize with the parallel channels between the braking resistor strips. We have provided the armored electric heaters for any type and any shape and customized with the numerical control machine and more use of commercial and residential. Most of the Resistors we used to dry and immersed in a liquid with the water oil and more cleaning systems which occurs the degreasers, food, tar, and sludge. However, we can manufacture armored resistors from maximum of 7000mm as well as resistors that are to be used in melted liquids and we supply form the resistor based and design provided and its cooling coil. In addition, we manufacture resistors and units due to flanges or threaded cap for the more electrical terminal with high ratings and high performance. The armored electric resistors forced the air use of finned resistors with more channels with forced ventilation. We manufacture armored casings for carbon steel and Incoloy 800, titanium and copper. Our professional Flanges are based on designs or standard iron for AISI304 or 316 with the stainless steel. In fact, our armored resistors are used to the high range of industrial sectors and for residential use. Moreover, the heat transfer relationships among more heat transfer coefficient for braking resistor surface temperature, cooling air outlet temperature, thermal boundary layer thickness and many more results. We have provided the theoretical heat transfer model of braking resistor case is used to the different variety of the resistor temperature with the braking resistor applied in type hybrid electric armored vehicle. This process of vehicle operating test result shows must be different modules for any type of engineering design requirement. Quick-starting bimetal thermostats for boilers and heating and plumbing equipment, single-phase and three-phase capillary thermostats, miniature fixed-value thermostats, basins, die-cast aluminum protective boxes already with holes bored and complete with parts for assembly, plugs for high temperatures, complete and assembled temperature regulation control unit, and level probes. There are pre-assembled thermostats made of aggregates with based on more heaters intended for use in specialty chemicals. 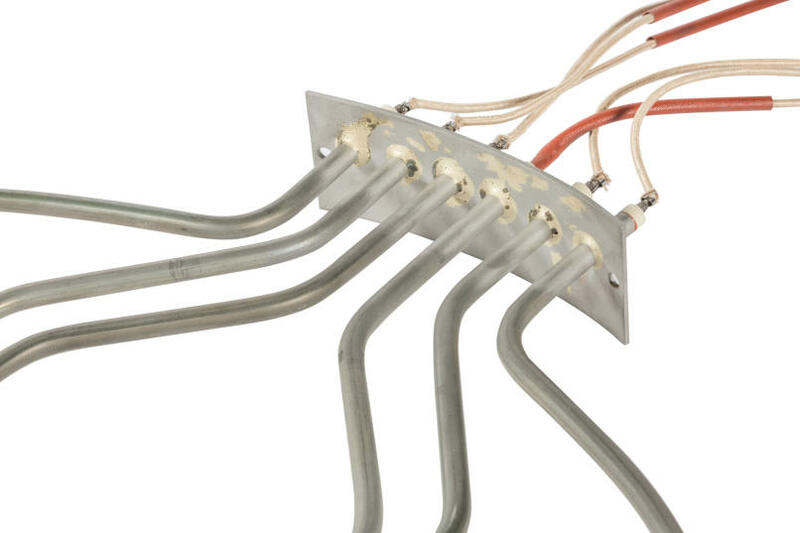 On another hand, the basin and DIN head use of more special chemical solutions as well as mineral insulated with the compact thermocouples and thermistors due to Connection extensions with standard connectors for single-tube resistors. Moreover, the Temperature controls with microprocessor and inputs for thermocouples or thermistors, logic or relay outputs. However, It also provides the leakage current in the main simply need re-forming with you can measure and watch more benefits. The higher power higher resistance is also the replacement for these resistors due to different way for current limitation as well as should be down to a couple of ma or less. However, the armored electric resistors we can get the grid positive as well as accompanied by the radio produces audio output.